SO happy I ordered this. My fiancé and I just got engaged this will help with save the dates and our invitations! We used our first and last name which will hast forever, can always order a new one after we’re married. 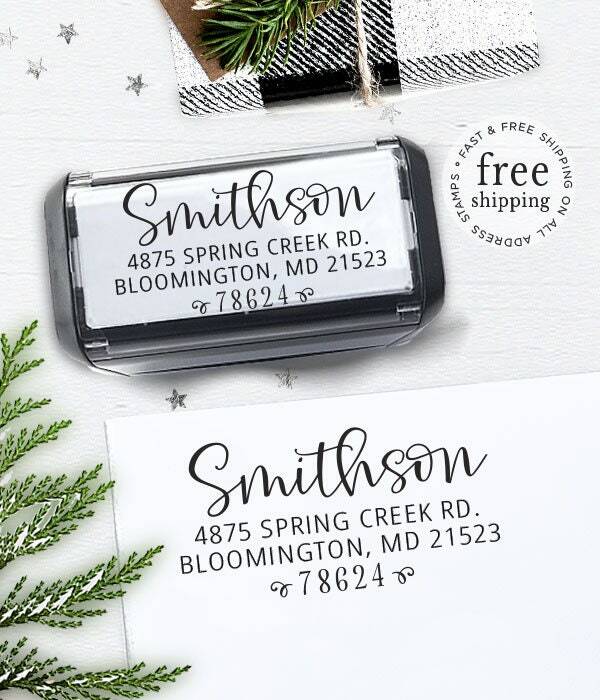 I love my stamps for my new business. I was given a couple options in font to choose from and am very pleased with the outcome. They also came in a very timely manner.